London Green Left Blog: Is the UK Going to Join the EEA as a post-Brexit Backstop? Is the UK Going to Join the EEA as a post-Brexit Backstop? The Financial Times reported (paywall) on Thursday that the environment secretary, Michael Gove, privately discussed the UK joining the European Economic Area (EEA) with liberal Tory MPs and Peers, as a backstop plan for Brexit. Gove, who supported the prime minister, Theresa May’s, Chequers plan for Brexit suggested that the UK could be ‘parked’ in the EEA, to avoid a no deal exit from the European Union (EU), at least for a temporary period. The idea is remarkably similar to the one floated by Paul Goodman on the Tory grassroots website Conservative Home a couple of weeks ago. Gove raised the possibility at a private dinner with about 20 Tory Parliamentarians on June 25, as he ran through various options in the event of Mrs May being unable to agree a deal in Brussels before March next year. He is not alone in thinking that the Chequers plan will be rejected by the EU, as the noises coming out of the European Commission have not been positive. Nor from the Tory grassroots, where it is seen as a sell-out. ‘This is about the worst Tory Cabinet I can remember. They don’t know what they are doing; they don’t know where they are going and they don’t have a clue about what their destination is - on Brexit or pretty much anything else. They are simply incompetent and incapable. It is hard to see many of these people supporting EEA membership, even temporarily though. Gove was a prominent supporter of the Leave campaign during the referendum in 2016, but is said to have become increasingly concerned that the UK will not actually leave the EU at all, with all of the complications of leaving now exposed the public. There does seem to have been a shift in public opinion with the idea of a second referendum, with an option to remain in the EU, on the voting paper gaining ground. More Tory MPs from the more liberal wing of the party also seem to be coming around to the idea of a second ballot. I can’t see that we will crash out of the EU without a post Brexit deal, but the default position of remaining in the EU is the most likely scenario if we don’t. There is no support in Parliament for a no deal Brexit, with an extension of the transition period to more than the just under two years already agreed with the EU also likely, but perhaps joining the EEA is the most sensible thing to do in the circumstances? The option of temporary EEA membership might appeal to the majority of Tory MPs, as a way out of the current crisis. Britain would be out of the Common Agricultural Policy and the Common Fisheries Policy, and would have some latitude on trade deals that the Chequers plan does not deliver. Free movement of people would have to continue, but an ‘emergency brake’ could be put on immigration from the EU, on a temporary basis (which EU rules allow now anyway), which conceivably could extend to whole period of EEA membership. But what of the Labour party, would Labour MPs also support EEA membership? The Labour leadership has already ruled out joining the EEA, saying that it is not suitable for the UK, and whipped their MPs to vote against an amendment to the government’s White Paper which would have committed us joining the EEA. Some MPs rebelled, but the majority voted against. But this amendment was not for a temporary period, and Keir Starmer, the shadow Brexit spokesperson, has said in the past that the UK should remain in the EU in a transitional phase of about four years, but that we should remain ‘as long as is necessary.’ Gove’s plan doesn’t look too dissimilar to what Starmer has said. Whether Labour would ease the political problems the Tories are in at the moment, is a moot point. Labour sees defeating the government over its Brexit plans as the quickest way to gain power. Politics works this way, I’m afraid, so I would be surprised if Labour backed this idea. 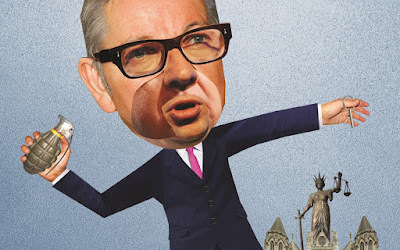 If the EEA idea does make it through Parliament, it would mean the end for Theresa May, but perhaps Michael Gove is positioning himself to replace her as prime minister? This is also how politics works, unfortunately.